The 38th edition of Gitex Technology Week, the largest ICT exhibition in the Middle East, Africa and South Asia, opened yesterday (October 14) with more than 4,000 companies from over 100 countries. Inaugurated by Crown Prince of Dubai and Chairman of the Dubai Executive Council Sheikh Hamdan bin Mohammed bin Rashid Al Maktoum, the event runs until October 18 at Dubai World Trade Centre. 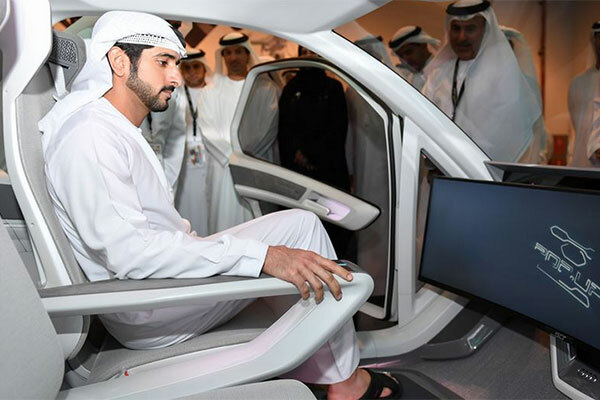 Sheikh Hamdan was given a whistle stop tour of the stands on display at Gitex - and witnessed some of the most cutting-edge and revolutionary technologies that organizations from the Middle East, Africa and South Asia are currently embarking on. The Crown Prince of Dubai visited some of the solutions and products produced by Etisalat, CISCO Systems, Dubai Municipality, Huawei, Du, among many others. The five-day Gitex Technology Week is showcasing live demonstrations of next-generation technology solutions from governments and international companies that will transform the Middle East businesses. The technology being showcased at Gitex has the power to transform corporations into global powerhouses, and visitors can expect to experience and find out all the latest in AI, Robotics, Cloud and the Internet of Things at an ICT event described as the most global and disruptive technology event in the world. Sheikh Hamdan also toured the third edition of “Gitex Future Stars”, a program which is primarily designed for startups.